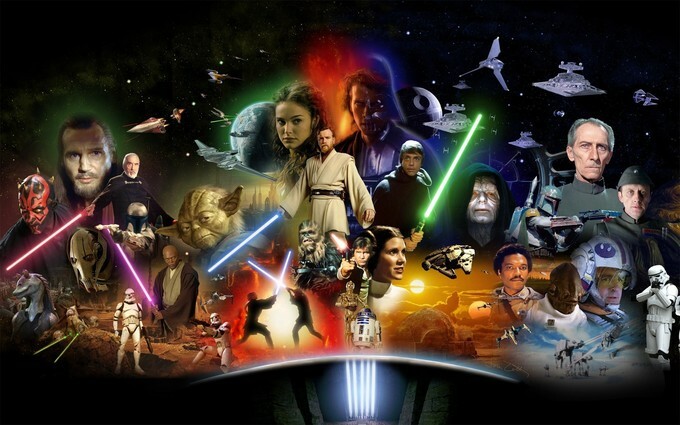 Lots more STAR WARS: EPISODE VII rumors as Michael Fassbender, Hugo Weaving and more are up for roles! Plus news on what led to J.J. Abrams taking over the script! Just yesterday, we heard a rumor that BREAKING BAD and FRIDAY NIGHT LIGHTS actor, Jesse Plemons, was in contention for a lead role for STAR WARS: EPISODE VII. With filming set to begin this April, we knew that more information was soon to leak. I didn’t know it was only going to take a day but the always reliable, Borys Kit over at THR, has a bunch of new information on EPISODE VII. He confirms that Plemons is indeed scheduled to meet with Abrams this week, but is one of many actors meeting with Abrams before final casting decisions are made. Abrams has reportedly already met with Michael Fassbender (who is set to star in and produce ASSASSIN’S CREED which has a release date also in 2015) and is also considering GIRLS star, Adam Driver (who was recently rumored for Nightwingin the BATMAN/SUPERMAN film coming in 2015) for a role. The roles that Abrams is considering Plemons, Driver, and Fassbender are unknown but Hugo Weaving is reportedly up for a role as an Imperial commander and has also already met with Abrams. The last bit of real casting news is that Abrams and company are now looking for an African-American or mixed-race female in her 20’s. The role is rumored to be either Obi-Wan Kenobi’s daughter or more likely his granddaughter. Now, we knew that more casting news was going to break soon and so the real interesting bits in this report are the behind the scenes information. It was announced that original screenwriter, Michael Arndt, was no longer involved in the film and that Abrams and Lawrence Kasdan were writing the film from that point forward. The official reason given was that Arndt had other projects that he needed to turn his attention towards. The rumors though, were that Abrams wasn’t happy with Arndt’s script and that he was re-writing it completely. This new report gives some credence to those rumors as Arndt’s original script is rumored to have been focused more on Luke Skywalker, Princess Leia, and Han Solo’s offspring, with the original characters taking supporting roles. This isn’t the case anymore though as Abrams wanted to bring the original characters front and center with EPISODE VII as a way to give them “a fitting send-off”. The plan now is to have the new characters as supporting characters before bringing them to the lead roles in EPISODES VIII and IX. George Lucas is said to have been involved in the discussions and debates but “acquiesced” to both Abrams and producer, Kathleen Kennedy. So while there were many actors and actresses that were talked to and considered for roles last summer and fall, many of those roles have been changed or scrapped completely due to the significant changes Abrams brought to the script. Lots to process there and this kind of restructuring takes place on a lot of films but it is magnified because it is STAR WARS so try not to get too excited or worried by this information. Abrams has a very specific way he wants to do things and it worked for him on the first STAR TREK film and it might here. That being said, to completely overhaul the script and only have a 6-month delay in release is a little worrying. As with most things, the result will probably be somewhere in the middle which would still be better than the first two prequel films.